Originally dubbed “The Sauerkraut Line” due to their German heritage, the combined line of Milt Schmidt centered between Woody Dumart and Bobby Bauer began threatening netminders while the trio – all from Kitchener Ontario – were playing for the Kitchener Greenshirts. 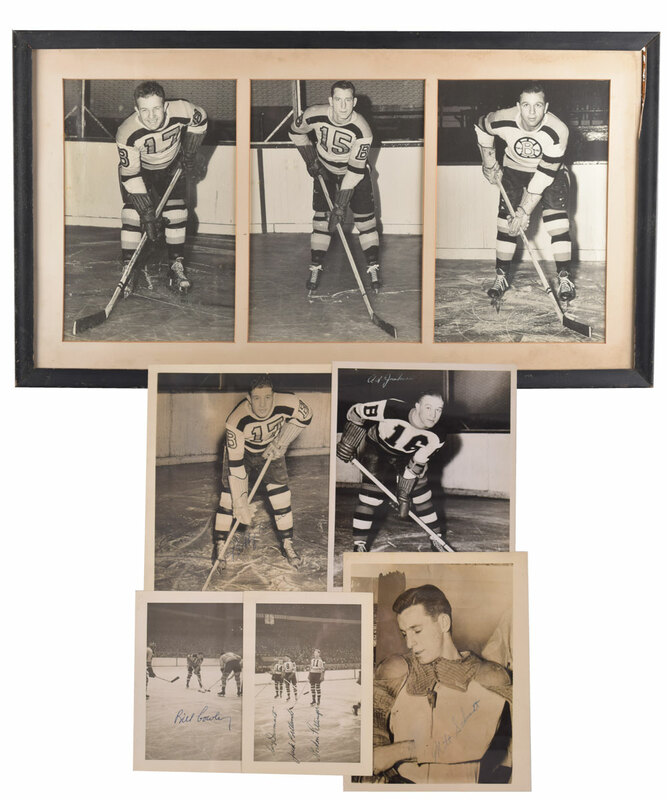 We have a framed display containing vintage photos of the three, and it originates from the collection of HOFer Milt Schmidt and was obtained directly from his family, with the added bonus of 5 vintage signed photos of Bruins players, also originally from Milt Schmidt. 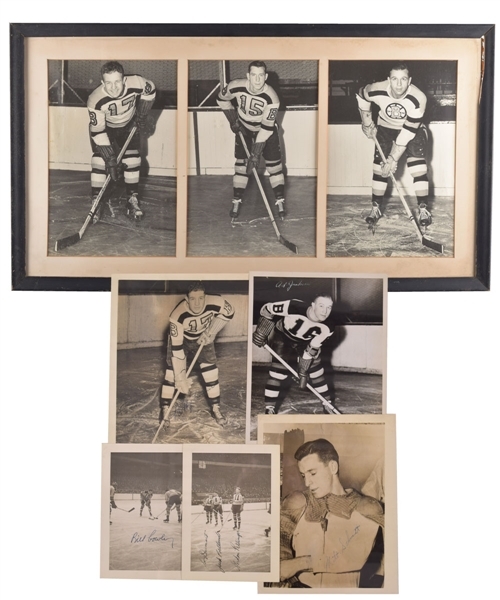 The vintage signed photos include Bill Cowley (5” x 6 ¾”), Bobby Bauer (8” x 10”), Art Jackson (7” x 9”) and Milt Schmidt himself (7” x 9”), along with a multi-signed example with Dumart, Portland and Gordon Pettinger (5” x 7”). An LOA from the Schmidt family will accompany. The framed display is approx 17 ½” x 31 ½” and probably seeing use in a prominent setting, possibly Boston Garden, each photo is approx 9” x 13”, with some damage to the frame which shows heavy wear from its lengthy life, with the photos all appearing in pleasing condition, with no issues. There is some dirt staining to the matte, and what appears to be small areas of possibly mold on the inside of the glass. There is also some damage to the frame itself, with material loss along the upper right corner. The accompanying signed photos vary in condition, with just light toning and corner/edge wear to the Cowley, Bauer and multi-signed examples, with the Bauer signature somewhat light for the beginning of his last name. 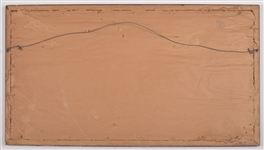 The Schmidt and Jackson photos both show heavy creasing, with a label over the reverse of the Jackson photo that lists a date of “1939-40”.